Situated in the heart of the city of Luxembourg, close to the railway station and only 8 km from the airport, the Grand Hotel Cravat offers a high class welcome in the grand family tradition. 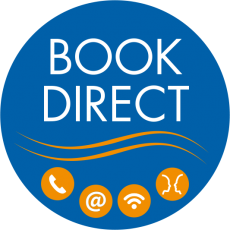 Book here and now and get the best possible daily rate in comparison to the big OTAs! From 01st of January 2019 to 31st December 2019 stay 2 nights (Friday and Saturday or Saturday and Sunday) in a superior room with view overlooking the valley at "the Grand Hotel Cravat". including buffet breakfast, service and taxes for 2 persons & Welcome-drink on the first evening in "Le Trianon" bar. A veritable institution in the city it has graced for more than a century, the Grand Hotel Cravat has stood the test of time, retaining its charm while providing guests with the latest in modern technology including secure wifi Internet access and plasma screen television.